No sport that offers a complete guarantee from foot or ankle injuries exists. Even more simple activities such as participating in a game of darts or pool could risk injury to the foot in some way. Regardless of the sport or activity, any athlete suffering from a foot or ankle injury needs to find a way to get back on his or her feet as soon as possible. Although immediate results are desired, sometimes a quick recovery just isn’t possible. 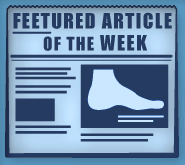 All podiatric injuries require immediate attention. Anytime the foot or ankle sustains an injury, the muscles surrounding the bones may weaken or atrophy as a result of disuse. Although the bones heal on their own, it takes a particularly stronger effort on an athlete’s part to regain full use of the foot and ankle. A physician might recommend the patient undergo rehabilitation, or physical therapy. Physical therapy consists of simple but repetitive isometric exercises that will cause the body to rebuild the muscles and tendons in the area. Over time, a full range of movement is restored as a result of the therapy. When it comes to choosing foot and ankle rehabilitation, a licensed sports therapist tends to be the best option. Licensed sports therapists are trained in dealing with athletic rehabilitation, and a good sports therapist knows how to take their time with a patient and help him or her understand their condition and the options available. General physical therapists also can do the job but may not understand the special demands an athlete has. Either way, so long as the therapist sees their client return to the field or court will make the exact recommendations required to get back in the game. Although professional athletes most definitely need a trained sports therapist, amateur and weekend athletes can also benefit from sports therapy as well. No foot or ankle injury should cause someone to give up a sport or hobby he or she loves, and a sports therapist can provide a tremendous help in that regard. Physical therapy does not always heal certain injuries one hundred percent but will help the affected patient get progressively better. Lesser injuries only last a while with a sports therapist. Foot and ankle rehabilitation services should be on a priority for any athlete with a foot or ankle injury.